Life's deeper purpose eludes Tom Cunningham, and its lesser purpose too. Leaving behind Seattle, his job, and a near endless supply of easy women, he grabs adventure and spends a summer in the Montana wilderness -looking for wildfires and also for himself. Done with her military service, Patty Dale enters the wilderness to pursue her life's dream-to hunt gray wolves with a camera and a notebook. 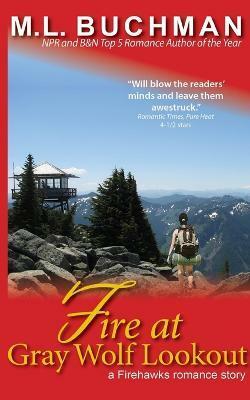 They both find far more than they bargained for when there's Fire at Gray Wolf Lookout.